Our product range includes a wide range of industrial oil burner couplings. With the support of meticulous personnel, we are engaged in supplying and trading wide chain of Industrial Oil Burner Couplings. 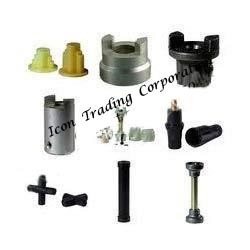 Our offered coupling are primarily used in burning processes for connecting motor with fuel pump, due to their high sturdiness and precise finishing. With the fabrication being done from high quality materials and advanced technology, these couplings are available with us in various designs and sizes. Looking for Oil Pump Couplings ?